HÀ NỘI — The retail price of petrol RON95 decreased VNĐ400 per litre from 3pm on Wednesday, according to an announcement by the ministries of industry and trade and finance. This is the first time the price of petrol RON95 has decreased since the beginning of this year. After the adjustment, prices of some fuels are as follow: E5 RON92 not higher than VNĐ18,340 per litre (US$0.8), diesel 0.05S not higher than VNĐ15,716 per litre, kerosene not higher than VNĐ14,560 per litre, mazut 180CST 3.5S not higher than VNĐ12,528 per kilogram. The prices were adjusted after the two ministries adjusted the use of the fuel price stabilisation fund. For E5 RON92 it is at VNĐ600 per litre, RON95 is at VNĐ0, diesel VNĐ0, kerosene VNĐ105 and mazut VNĐ0 per kilogram. The ministries of industry and trade and finance said that the adjustment of petrol prices for the purpose of regulating gasoline prices under the market mechanism under the control of the State, contributes to controling inflation and limits the increase in the consumer price index (CPI). This adjustment is also expected to contribute to the production and business of enterprises, stabilise consumer psychology in the spirit of the Government’s Directive No.48 on strengthening the management and administration in order to stabilise the market price, ensure social order and safety on the occasion of the Lunar New Year. The Ministry of Finance is drafting a report to the Government on the proposal to refund excise tax on mineral oil used for the production of bio-fuel E5, based on the proposal of the Việt Nam Petroleum Association. 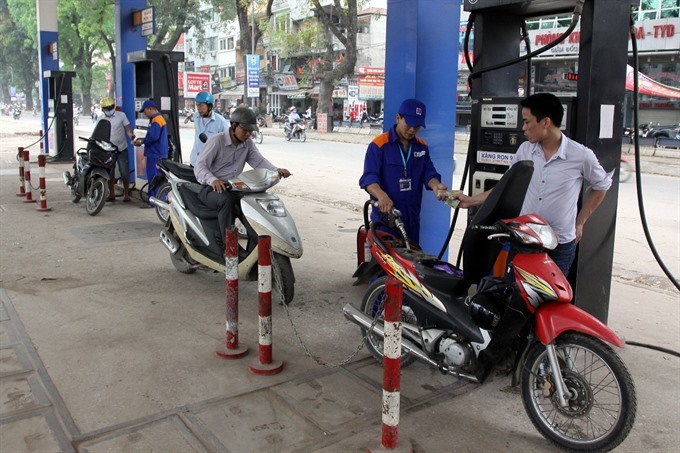 Petrol enterprises as well as the Việt Nam Petroleum Association are proposing the Ministry of Finance and related ministries to re-guide the non-deductible excise tax on mineral oil products used for the production of bio-fuel. The proposal is believed to be reasonable with the real situation after the guidance of the Government that businesses can only sell RON95 and E5 from January 1 this year. This also means that the non-deductible excise tax on E5 petrol is high. For Petrolimex alone, the amount of non-deductible tax arising from the beginning of this year is estimated at VNĐ270 billion.